Many struggle with the issue of total depravity. Theologians argue whether depravity is intensive or extensive. If it’s intensive we’re depraved in every part in every way. But I’d agree with those that argue for the extensive view of depravity. It still allows for some good in man yet agrees with the biblical descriptions regarding how our will, emotions and intellect are all infected, but not destroyed, by sin. The infection however is like a disease that’s passed on from generation to generation in the womb. The sinfulness of man begins in the womb. All children have Adam’s sin nature. It might take a while for it to become apparent but they all have it. It’s in the genes. We’ve inherited it. Jacob and Esau are a great illustration of the depravity of children in the womb. Genesis 25:22-23 says, “The children struggled together within her.” Rebekah went to the Lord and He informed her that “Two nations are in your womb, and two peoples from within you shall be divided; the one shall be stronger than the other, the older shall serve the younger.” The strife in the womb became the picture of a life long struggle between Jacob and his brother Esau. Neither of the two brothers had commendable traits. Esau gets a bad rap by preachers because he didn’t care about his birthright and his was a man of the world, but really I think they were both bad boys who displayed the characteristics of their depravity while still in the womb. Yet, God chose Jacob over Esau. It just isn’t fair, is it! It’s all part of God’s sovereign plan. In Romans 9:13-16 we read about God’s love for Jacob. As God’s love for Noah, and God’s love for Abraham, it truly was not bestowed on him because he was someone special. When we consider Jacob’s life we see that, as Strassner says, “…Jacob was a lying son, a stealing brother, a cheating husband, a selfish father, and a mud-slinging son-in-law. 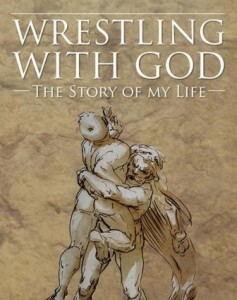 Not much to be impressed with.” Jacob not only wrestled with Esau in and out of the womb, he wrestled with his father. He wrestled with his father in law. 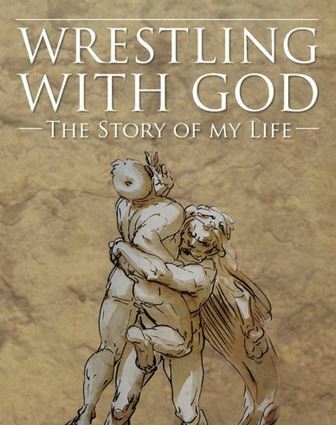 He even wrestled with God. But that’s what makes this passage so impressive. It says, “As it is written, Jacob I loved, but Esau I hated. What shall we say then? Is there injustice on God’s part? By no means! For he says to Moses, I will have mercy on whom I have mercy, and I will have compassion on whom I have compassion. So then it depends not on human will or exertion, but on God, who has mercy.” Please note the last phrase. God truly dealt with Jacob in much the same way he deals with us. He wanted Jacob to know that God’s blessings in his life had nothing to do with his goodness. He didn’t deserve it. But God, in his loving mercy, gave it to him anyway. We get it the same way!